Mental health watchdog Citizens Commission on Human Rights says a new report issued by the Centers for Disease Control and Prevention (CDC) on the 10,000 toddlers being prescribed ADHD drugs, is only the tip of the iceberg regarding children being prescribed psychiatric drugs in the U.S. According to documents CCHR obtained from IMS health, more than 274,000 0-1 year olds are being prescribed psychiatric drugs and a staggering 370,000 toddlers. While the recent New York Times article, “Thousands of Toddlers Are Medicated for A.D.H.D., Report Finds, Raising Worries,” seems shocking, the actual numbers of infants and toddlers being prescribed psychiatric drugs dwarfs the 10,000 2-3 year olds being prescribed ADHD drugs. 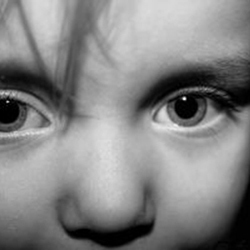 The mental health watchdog, Citizens Commission on Human Rights (CCHR) says according to documents CCHR obtained from IMS Health, the world’s leading health information and analytics company, hundreds of thousands of toddlers are being prescribed far more powerful psychiatric drugs than just ADHD drugs, and most alarming of all is the more than 274,000 0-1 year olds prescribed psychiatric drugs. 249,669 0-1 year olds are on anti-anxiety drugs(such as Xanax, Klonopin, and Ativan). 26,406 0-1 year olds are on antidepressants(such as Prozac, Zoloft, and Paxil). There are 1,422 0-1 year olds taking ADHD drugs(such as Ritalin, Adderall, and Concerta). As far as antipsychotics, antianxiety drugs and antidepressants, the FDA and international drug regulatory agencies cite side effects including, but not limited to, psychosis, mania, suicidal ideation, heart attack, stroke, diabetes, and even sudden death. In summary: Yes, the recent report of the CDC on the number of toddlers being prescribed ADHD drugs is shocking, but it is nowhere near the actual figure of infants, toddlers, and children being drugged. Being shocked is a good place to start, but action is required to protect the weakest among us. As John F. Kennedy stated,”Children are the world’s most valuable resource and its best hope for the future.” It is time to start protecting our children and it starts with informing parents. For more information visit the Parents Know Your Rights page. IMS, Vector One: National (VONA) and Total Patient Tracker (TPT) Database, Year 2013, Data extracted April 2014, for all Psychiatric Drugs and Per Class for Ages 0-17. IMS, Vector One: National (VONA) and Total Patient Tracker (TPT) Database, Year 2013, Data extracted April 2014.